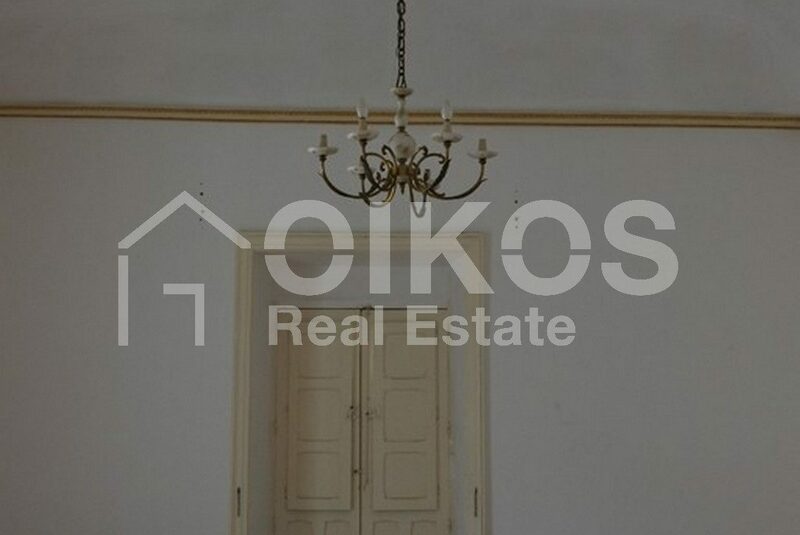 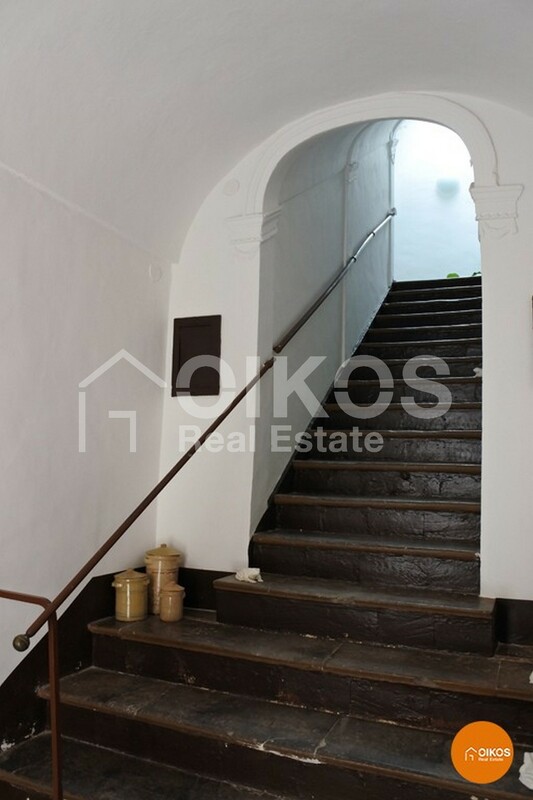 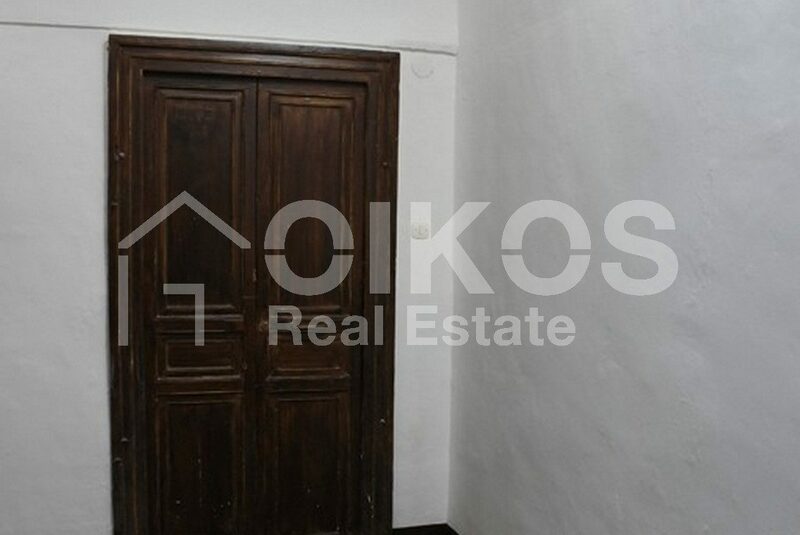 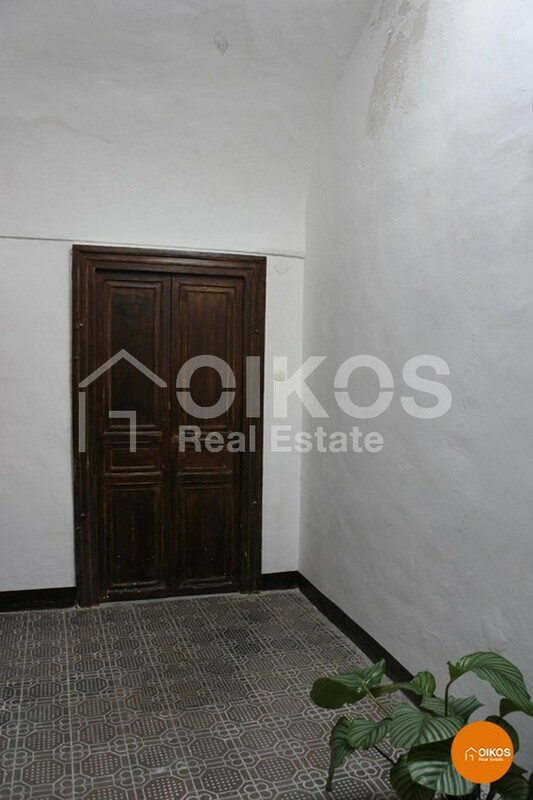 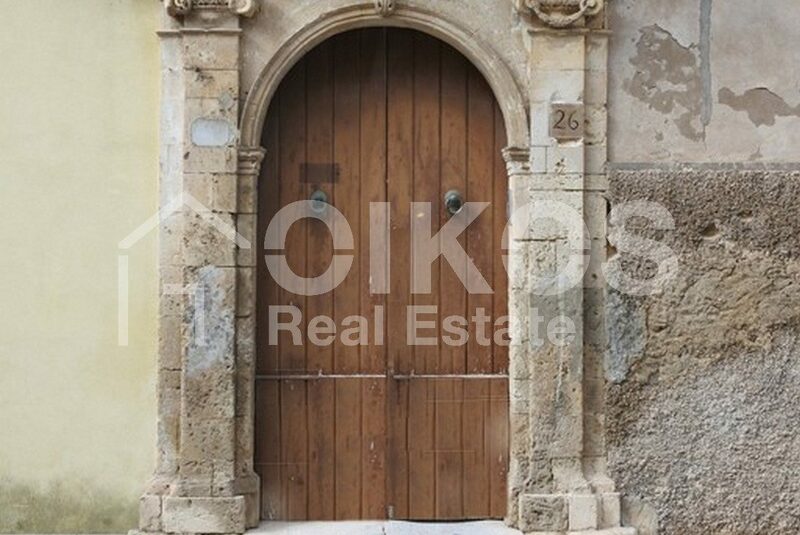 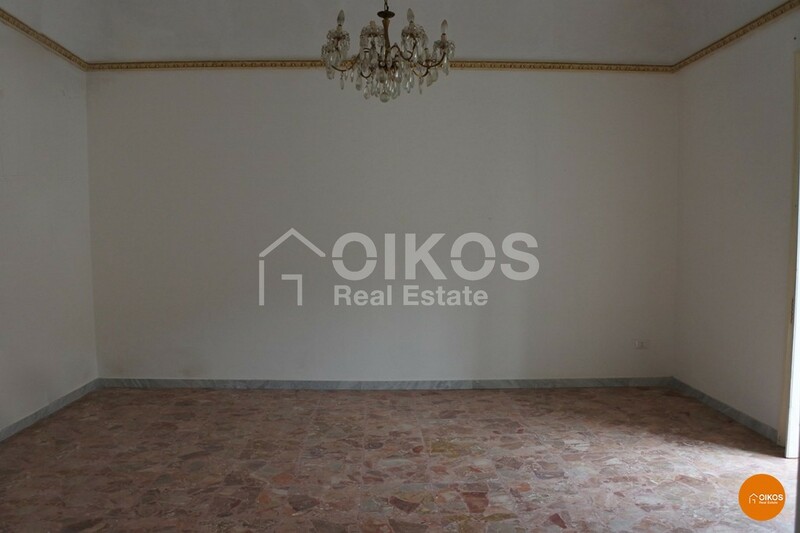 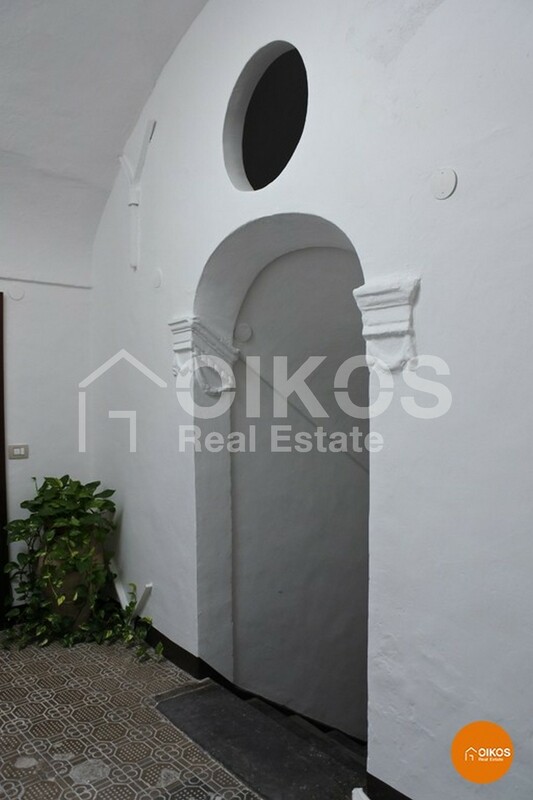 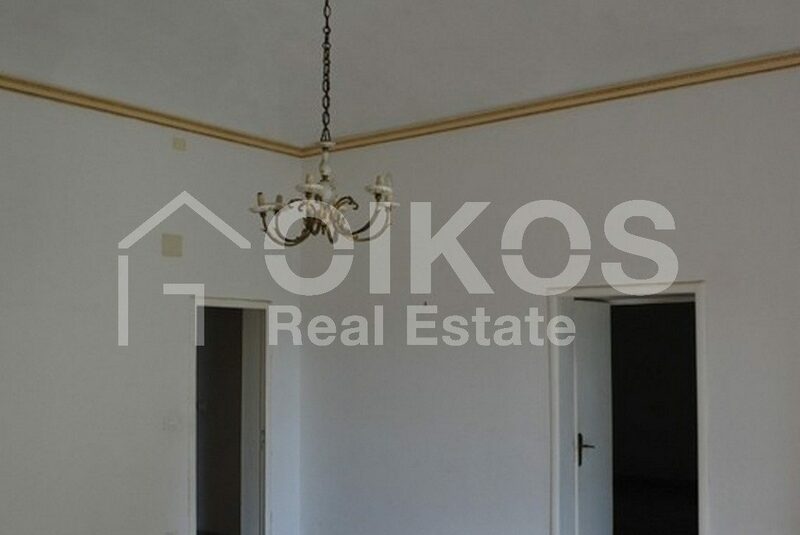 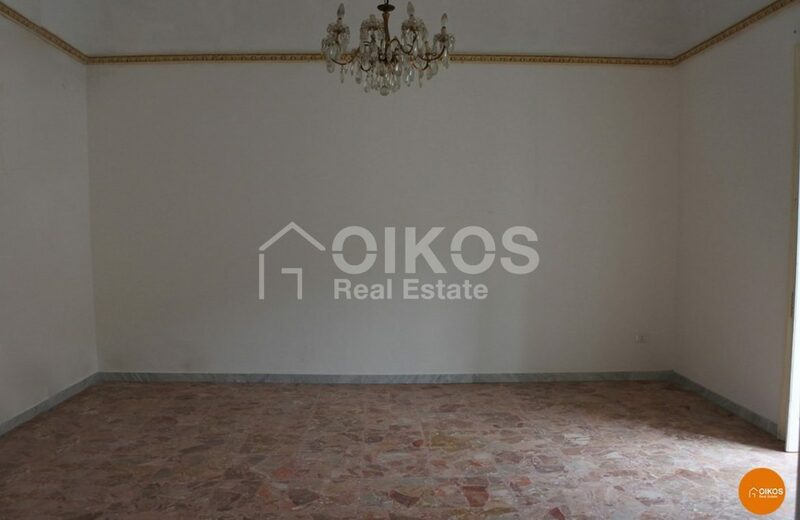 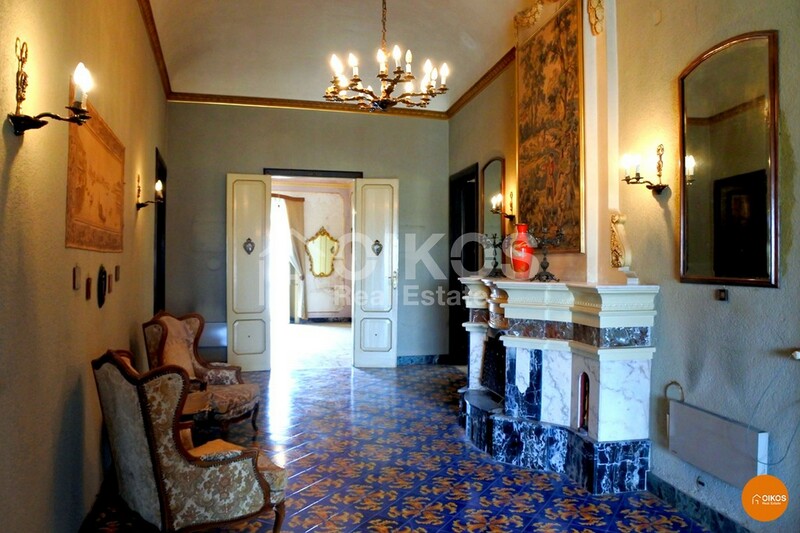 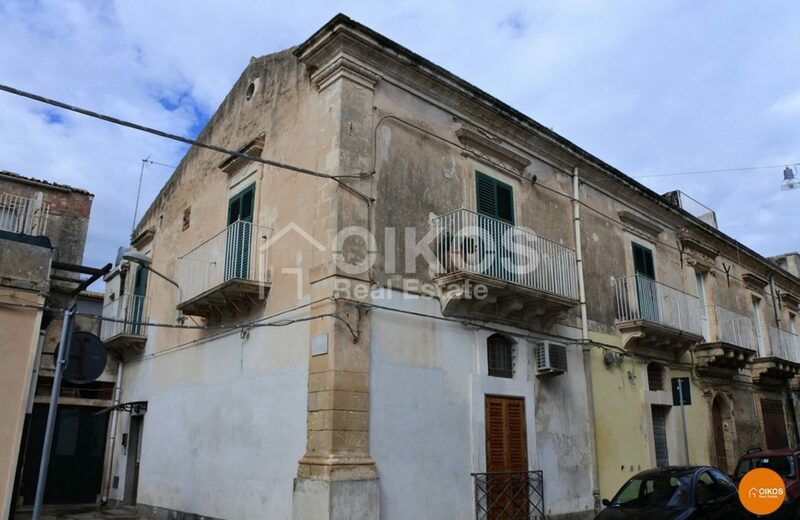 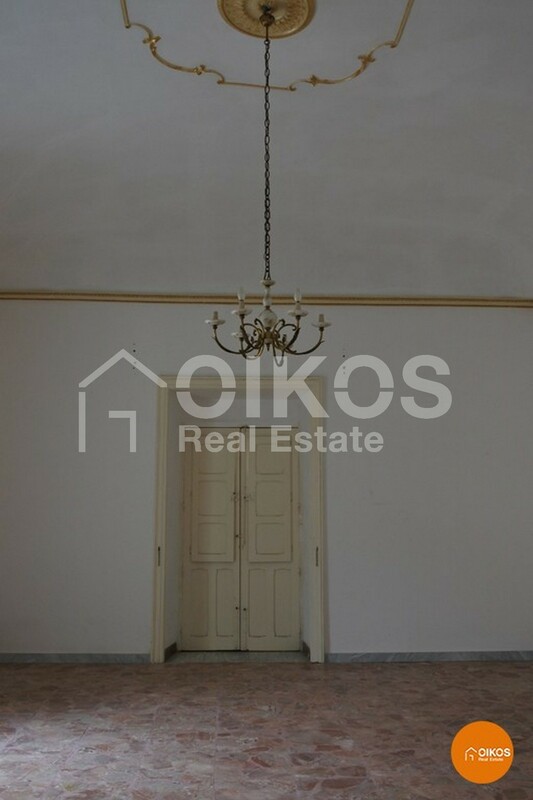 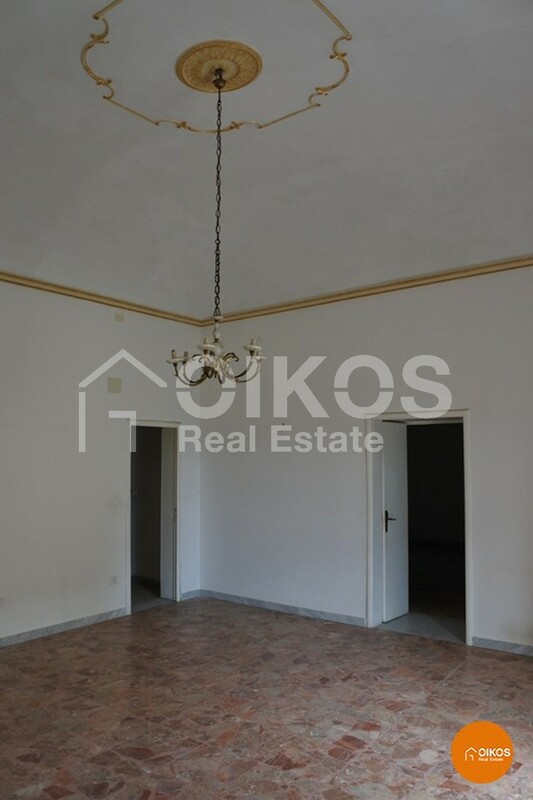 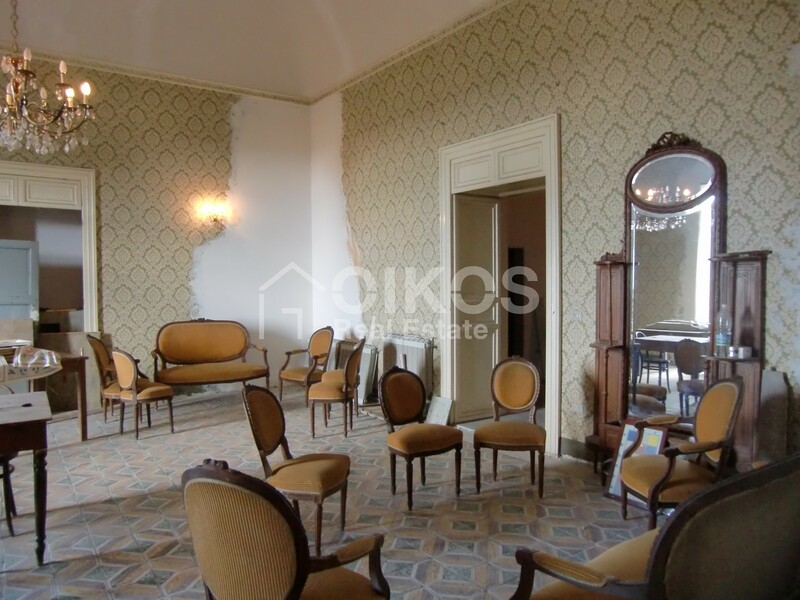 This elegant apartment on the first floor of a Baroque style building, built at the end of the 18th Century, is in the historic Via Garibaldi. 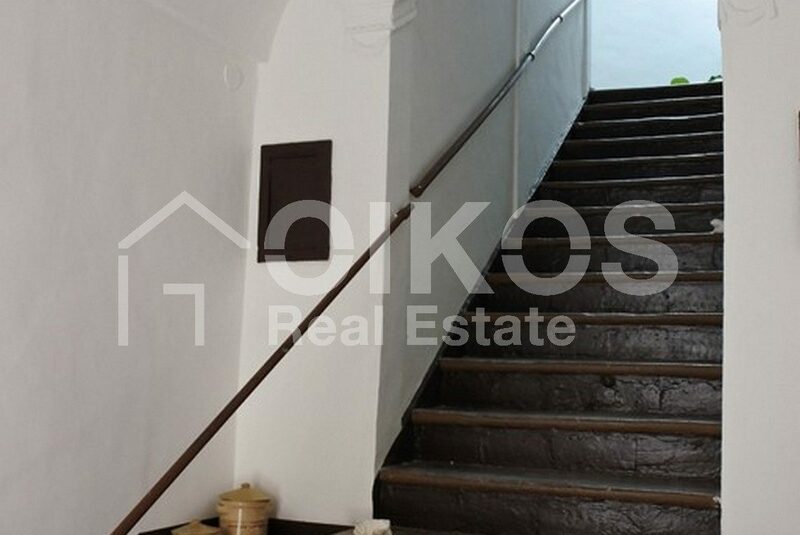 A pitch stone staircase takes you from the building entrance to the apartment that has a floor area of approximately 185 Sq. 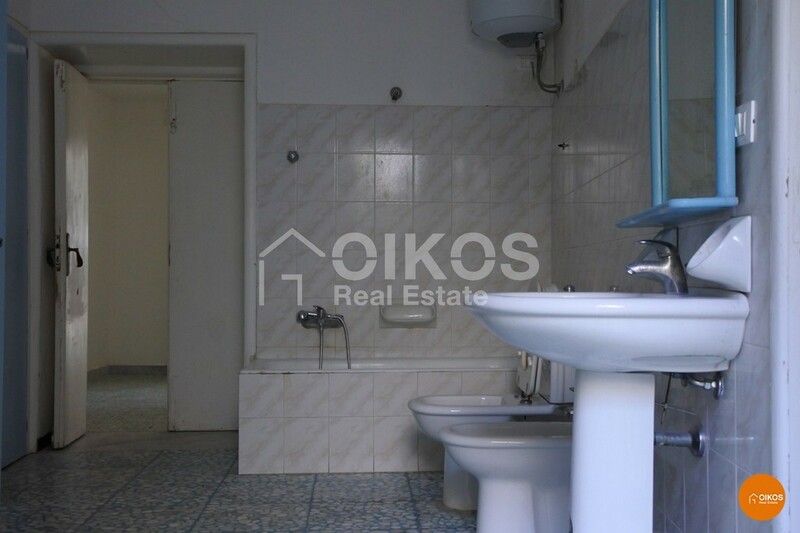 m comprising nine spacious rooms plus bathrooms. 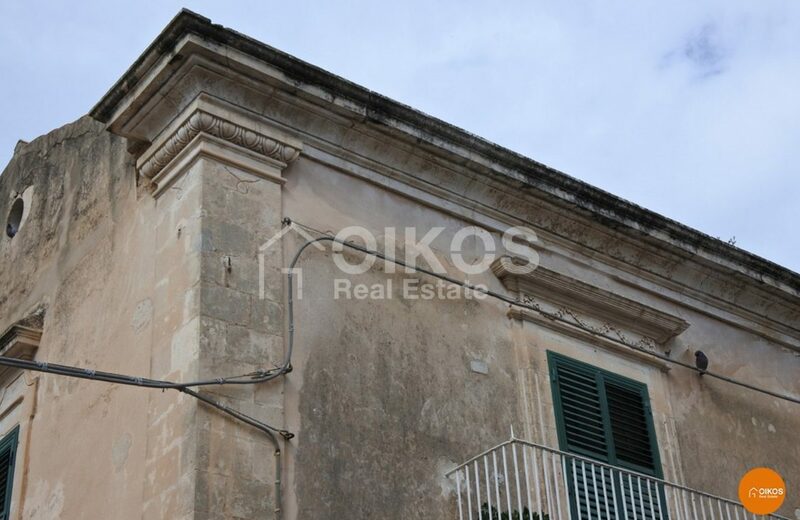 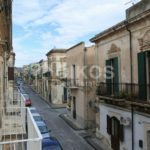 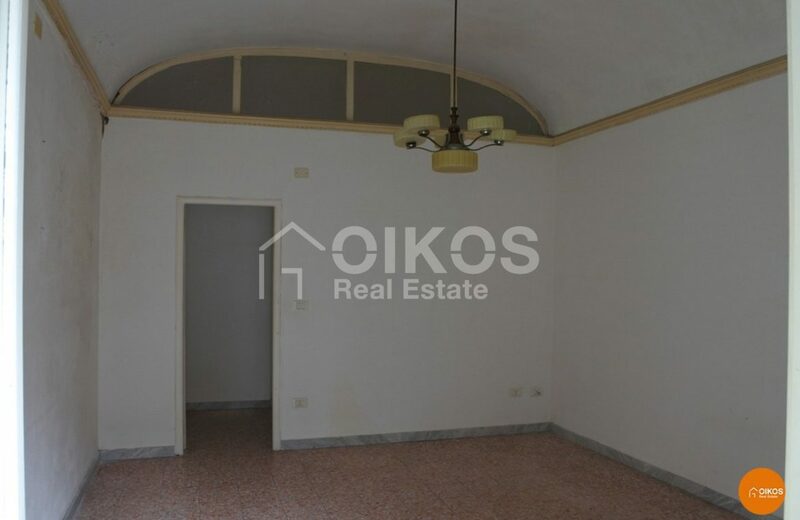 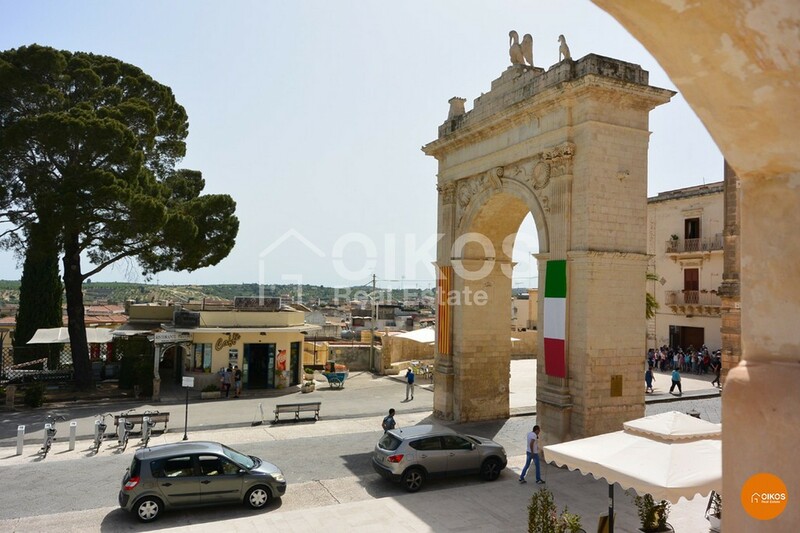 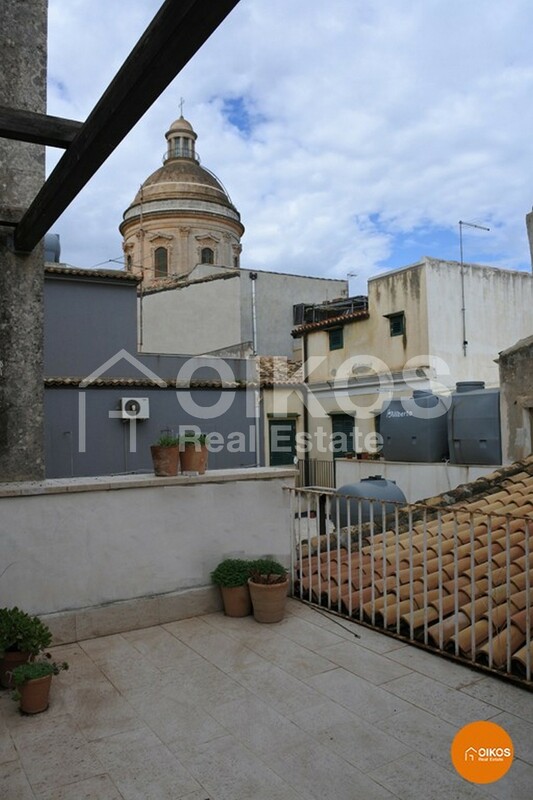 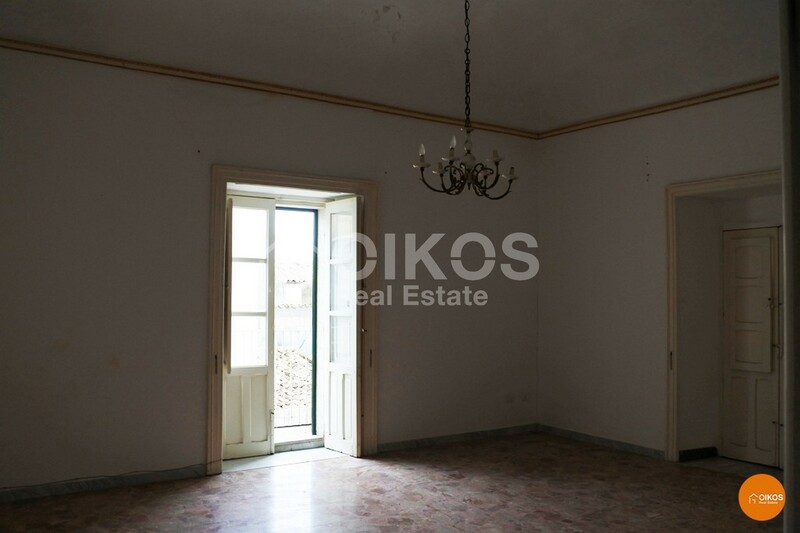 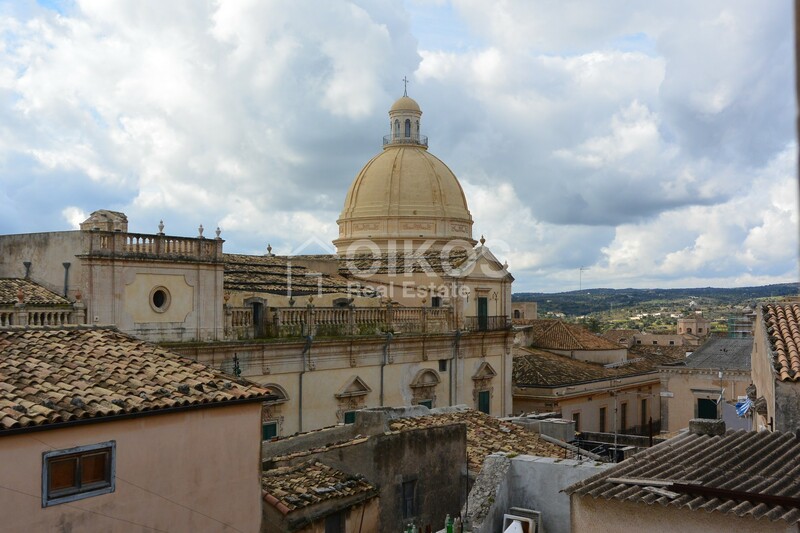 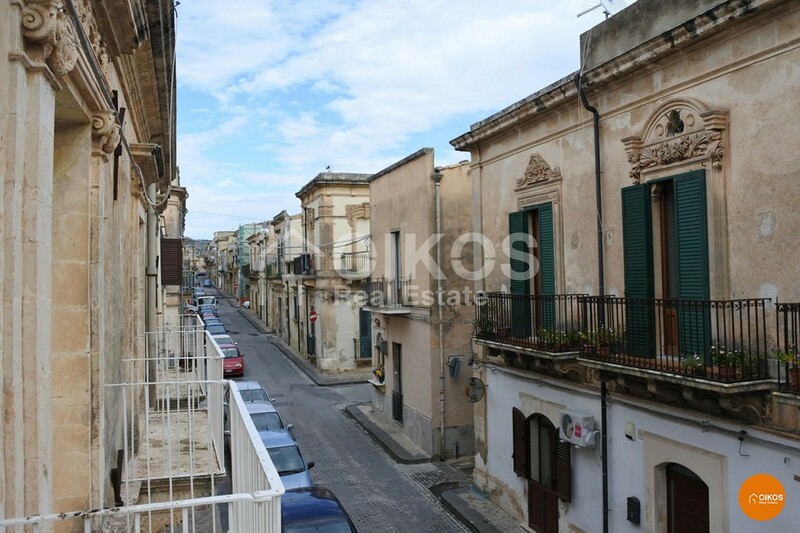 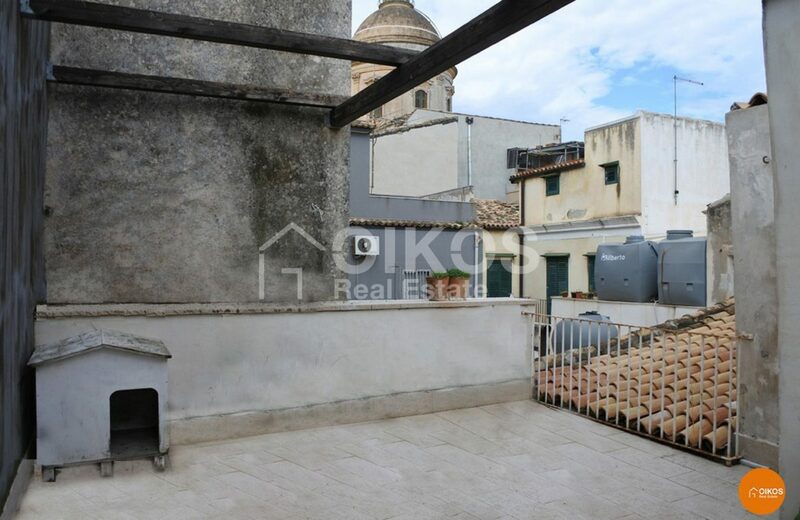 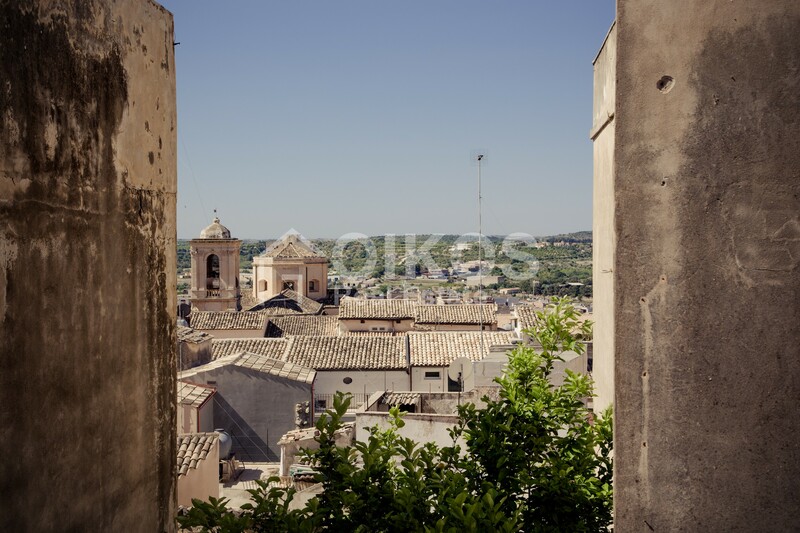 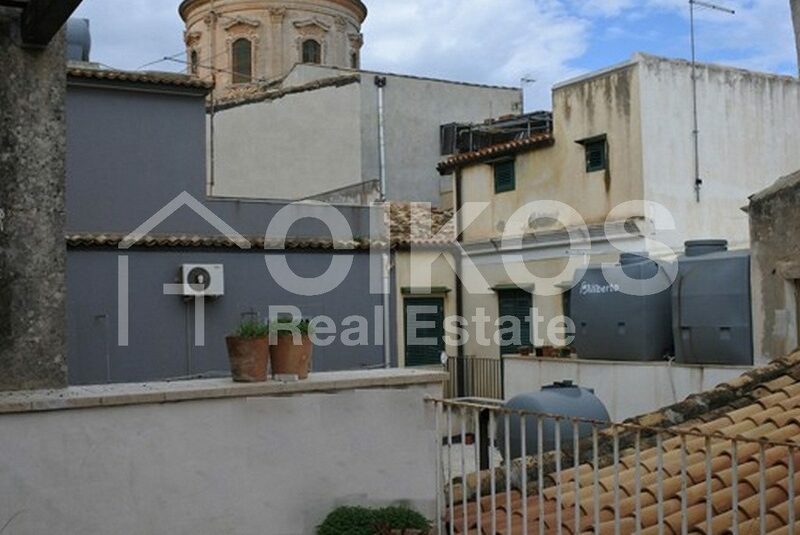 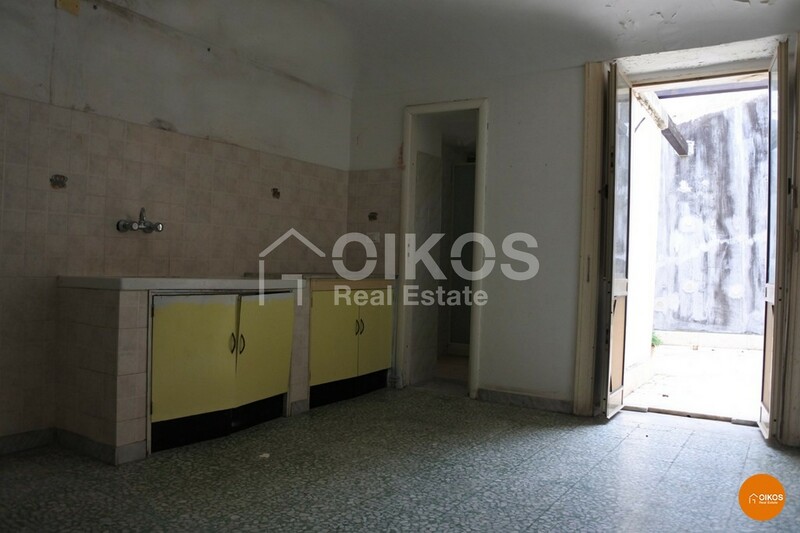 The kitchen leads onto a good sized terrace with a panoramic view of the Basilica del Crocefisso and the roofs of Noto. 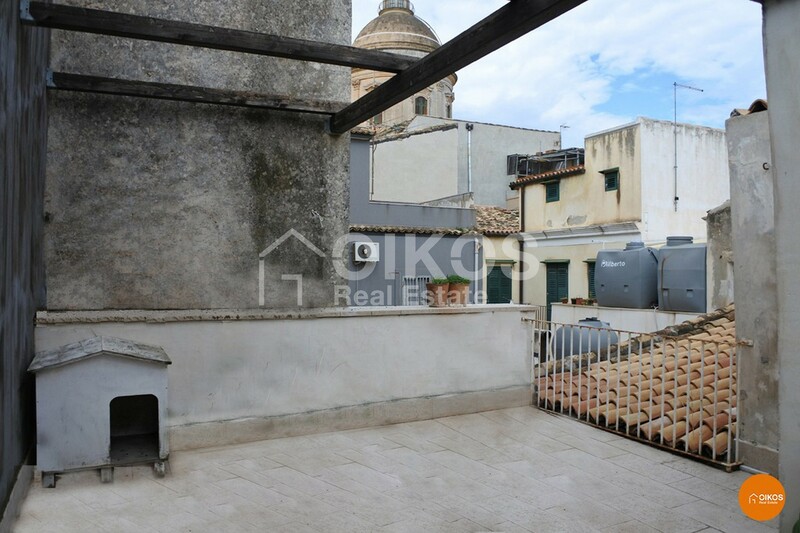 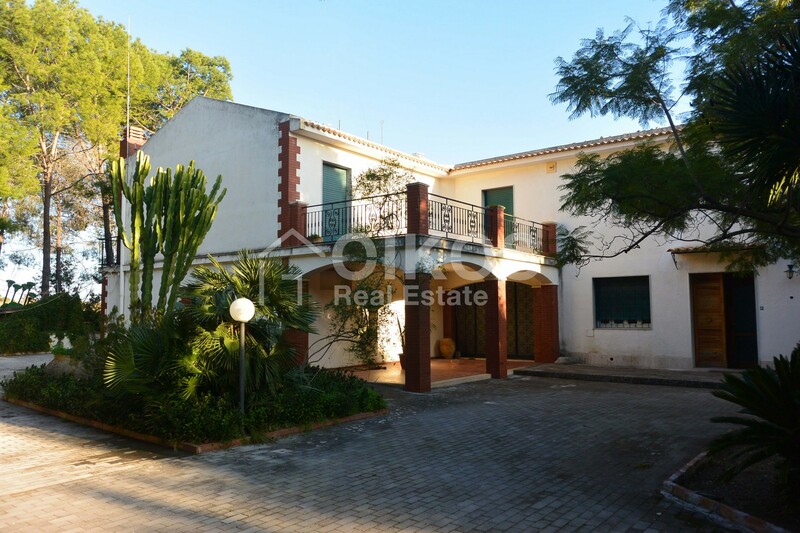 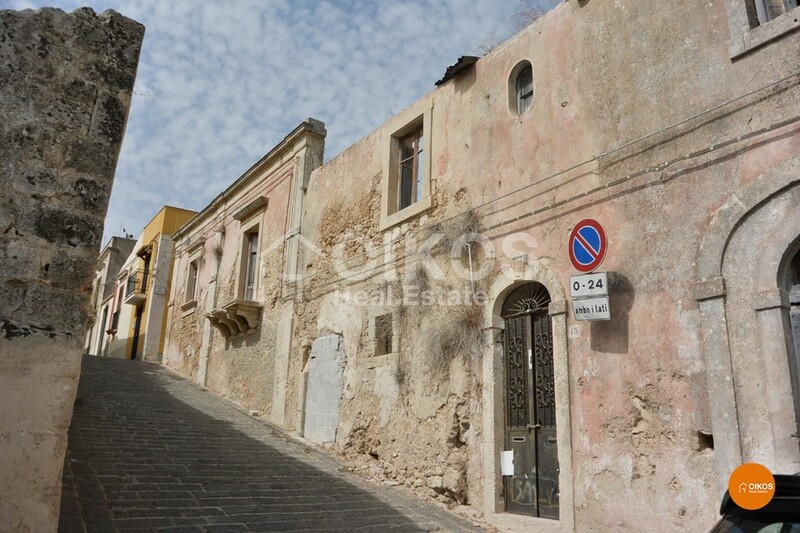 The property has balconies that guarantee well lit rooms and that look over Via Garibaldi and the characteristic alleys. 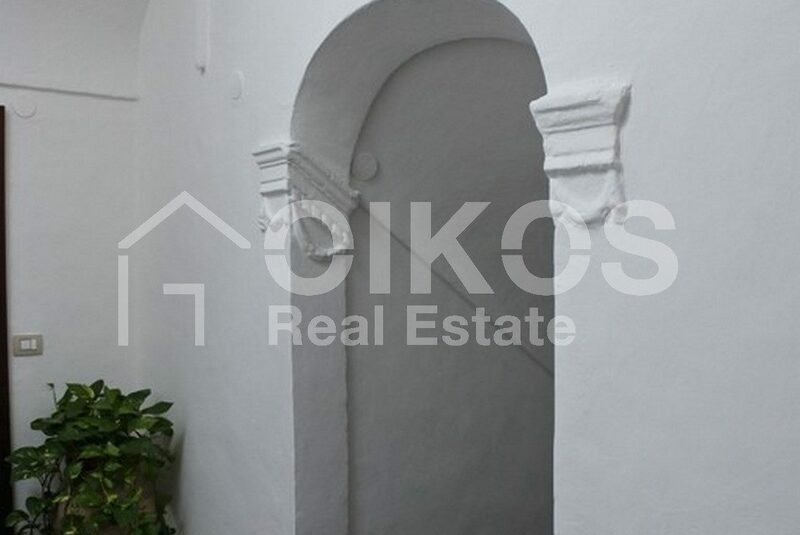 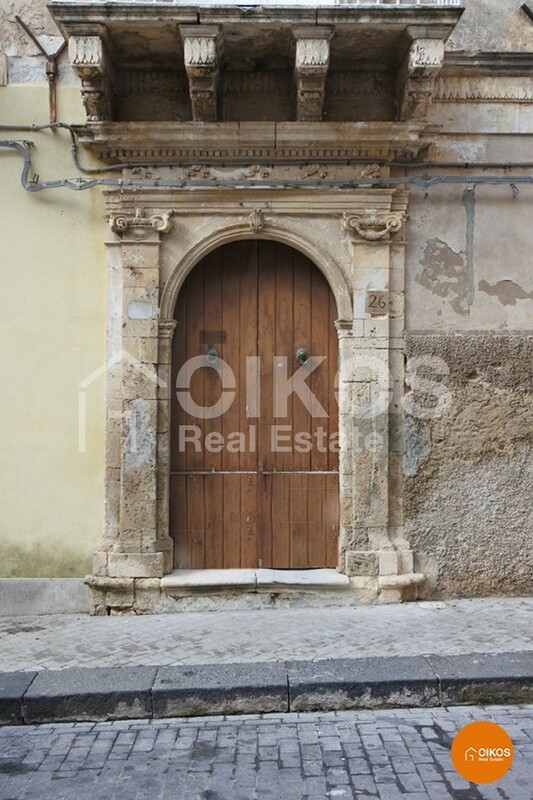 The façade of the property is rich in decorated stone sculptures that provide the apartment with high architectural value.